By far the ugliest little things I've ever made. Tasty though! Note: Save yourself some money and don't get the kind in the jar. Instead, buy the Karl Buddig brand of beef lunch meat at the grocery store. It is the cheap stuff but it works awesome for this recipe. 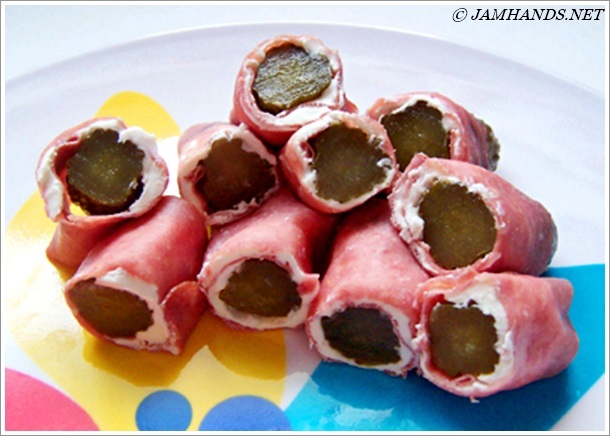 Spread cream cheese onto dried beef then wrap around the pickle. Slice into bite-sized pieces. Is it terrible to admit that I've made almost this recipe? 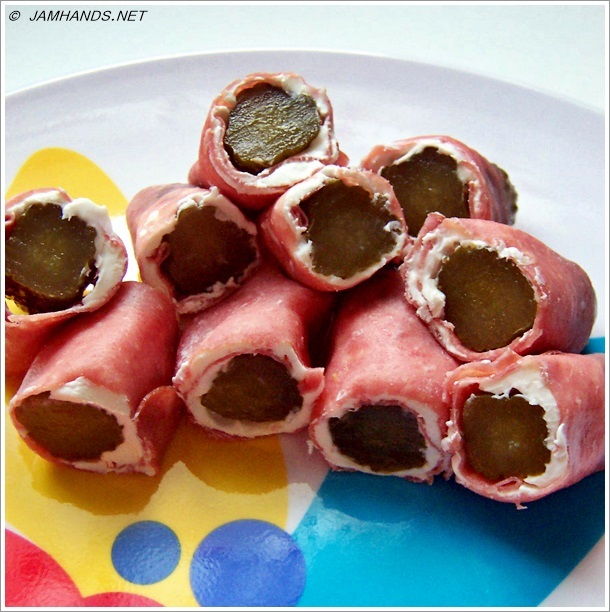 With zesty dills, cream cheese and both smoked ham and pepperoni? If you pan fry bacon, not too crispy and then wrap it on these, it's awesome. I'm so ashamed.. but I adore you! i've used turkey and ham thin slices.